Homicide detective Gun-soo, late for his mother's funeral, drives on an empty road when an obstacle suddenly appears before him. He swerves out of the way just in time but as soon as he steers back into the lane his windshield connects with a grown man. Faced with a dead body on the side of the road, Gun-soo's survival instincts kick in and he tries to cover his tracks. With his options limited and time running out, he opts to hide the body in his mother's coffin. Just when he thinks he's in the clear, he gets an ominous call from a man who seems to have been following his every move. A dark road, a cop and a dead body at night - A Hard Day sets a familiar stage and wastes no time as it fervently barrels forward, building intrigue and suspense through an avalanche of clever cause and effect. Things escalate quickly for Gun-soo and the circumstances he finds himself in echo well-worn genre tropes, particularly concerning Korean cinema, but the sheer energy of the pacing and the cleverly engineered plot machinations create an involving mystery that is undeniably fresh despite its familiarity. Director Kim Seong-hun first wielded the megaphone back in 2006, for the dramedy How the Lack of Love Affects Two Men but it took him until now to return to the director's chair. Not for lack of trying mind you, as he has been aiming to make A Hard Day for a number of years, and by his own admission, he had plenty of time to hone his sophomore script during this lengthy interval. Perhaps this long wait was a blessing in disguise as the single element that makes A Hard Day stand out the most is its sterling scripting. Rarely has a Korean screenplay been so taut and well paced. While Kim does not attempt anything new (a decision that likely benefited his search for financial backing) his perspicacious approach to genre filmmaking yields significant dividends. Kim wrings constant tension and mystery out of his story by arranging plot strands and revelations in such a way that is unencumbered by dull moments. A Hard Day may be a dark and clever thriller but it also leaves plenty of room for smartly inserted morbid humor. A ringing phone in the mother's coffin and a parking announcement outside the funeral parlor, which recalls a similar scene in Bong Joon Ho's The Host (2006), are just some of the moments that introduce levity while also ratcheting up the tension another notch. Leading the cast is Lee Sun-gyun, one of the few Korean actors who seems as comfortable in TV dramas and commercial fare as he does in arthouse cinema, such as his frequent collaborations with Hong Sangsoo. Lee possesses a unusual quality that makes him seem both confident and awkward, or approachable and arrogant, at the same time. 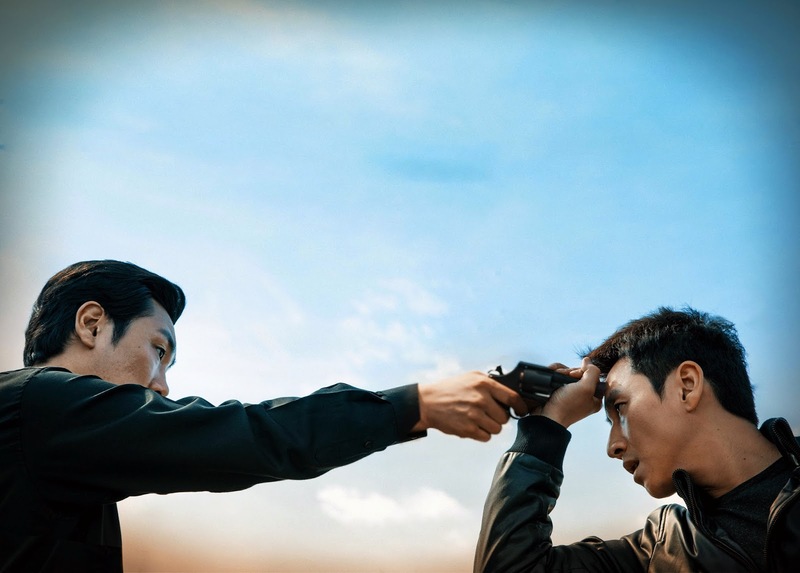 Early on, Gun-soo is implicated in police corruption (his guilt is never cast in doubt) and throughout the film he makes a number of questionable decisions. Yet there is still something endearing about this character. He is a hapless product of his society who tries to handles situations in the only way he knows how, which is impulsively and without too much concern for anyone beside himself. Lee is one of the few actors that could navigate this careful balance and still tease out some empathy. More revelatory is Cho Jin-woong, the supporting star of many recent Korean films (Nameless Gangster, Hwayi) who shares top billing here for the first time. He may not spend as much time on screen as Gun-soo, but Cho's villain is charismatic and oozes an aura of menace that even bleeds into the scenes he does not appear in. At first we are introduced to him on the phone and Cho's undulating and unnerving voice immediately signals the presence of a redoubtable antagonist. A Hard Day announces itself formidably with an invigorating and gripping first act. Well shot and carefully staged, Kim needles an unusually taut thriller for modestly budgeted commercial Korean cinema. While it doesn't end quite as well as it begins or possess the subversive qualities to put it in league with the likes of Memories of Murder (2003) or The Chaser (2008), it stands as one of the best pieces of genre filmmaking to emerge from Korea in half a decade.